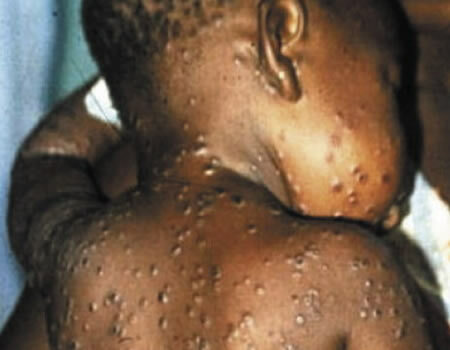 Monkeypox: Suspected cases risde to 74 in 11 states – Royal Times of Nigeria. Minister of Health, Prof. Isaac Adewole has said the cases of Monkeypox virus has risen to 74 in 11 states. Adewole listed the affected states as Akwa Ibom, Bayelsa, Cross River, Delta, Ekiti, Enugu, Imo, Lagos, Nasarawa and Rivers as well as the FCT. Adewole made the disclosure in Abuja on Wednesday when he briefed State House correspondents on the outcome of the meeting of the Federal Executive Council. It could be recalled that the outbreak of the virus was first reported in Bayelsa State, where 11 people were quarantined including a doctor. The Federal Government later confirmed that 33 suspected cases of the virus were recorded in seven states. The Council received an update on the state of the public health of the nation. Three from Bayelsa and 12 of the suspected cases from Bayelsa tested negative while four suspected cases from Lagos tested negative. The government is still expecting other results. He said,“The Council also received an update on the state of the public health of the nation. We informed the council about the latest development in respect of the Monkey Pox virus outbreak. So far as of today, there are 74 suspected cases in 11 states of the country. “We are also doing a test at the African Centre of Excellence for Genomics of Infectious Diseases, Edeh, to really understand the genomics of this virus. “Even when they are negative, the laboratory attendant should be able to tell us what exactly they are,”. “And I must educate Nigerians about how vaccination campaigns are done. The Federal Government will take the lead but we do not conduct a campaign without working with states. “So, there is no way we will do a campaign without working with the states,”. Cleric in prison over alleged N17m fraud.